@Dongqinnnn omg you got emoji. “@iBellaVista_: sooooo who wants to go to the TLA 2 c Marsha Ambrosius nov 1st wit me lol ???? ?”your treat im down!!! 21 Oct 11 copy & paste +upvote -downvote “@iBellaVista_: sooooo who wants to go to the TLA 2 c Marsha Ambrosius nov 1st wit me lol ???? ?”your treat  im down!!! 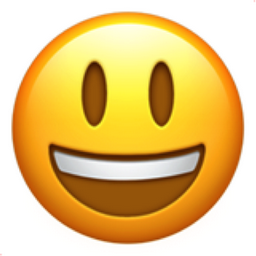 Like Smiling Face with Open Mouth Chronological Emojitweets 29?